(WBSC October 5, 2016 TOKYO) – Japanese Hall of Fame pitcher Masaki Saito has been named manager of the National Baseball Team of Japan that will compete For the Title of World Champion at the inaugural WBSC U-23 Baseball World Cup 2016 in Monterrey, Mexico. "It is a great honuor to lead Japan in the first-ever U-23 World Cup,” said Saito. “We will fight as a team to put our country in a position to win the world championship. "The former Nippon Professional Baseball MVP has been a coach in the Yomiuri Giants organisation since 2006. Saito will be joined by 1992 Olympic bronze medallist Takashi Miwa – current coach in the Orix Buffaloes organisation. Guiding the pitching staff will be former MLB/NPB picher Akinori Otsuka, who was a member of the Japanese National Team that won the 2006 World Baseball Classic. The world No. 1 is expected to announce their roster in the coming days. Japan will open the U-23 Baseball World Cup in Group B, alongside No. 4 Chinese Taipei, No. 13 Australia, No. 18 Nicaragua, No. 27 Argentina and No. 33 Austria. The top three nations from each group will advance to the Super Round group stage. The U-23 World Cup, which begins on Friday, 28 October, will be the top international baseball competition of the year and will distribute 690 world ranking points to the winner — the third-highest award, behind the PREMIER12® and the World Baseball Classic. 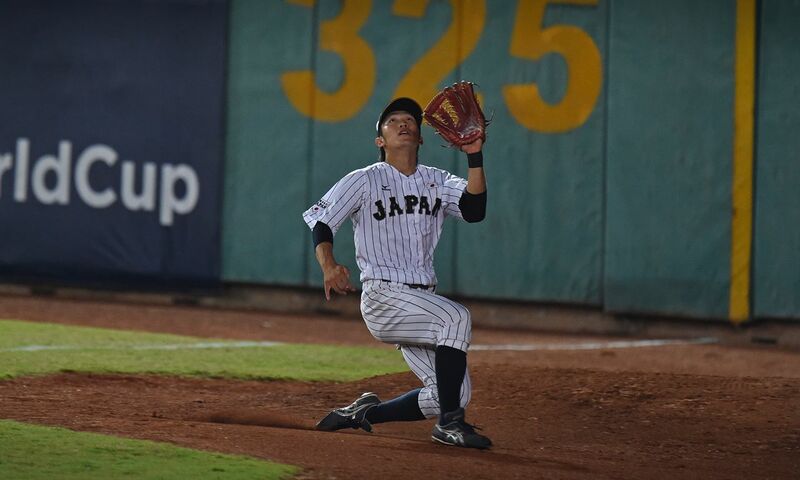 Japan finished in 2nd Place at the U-21 Baseball World Cup 2014, falling to Chinese Taipei in the Final.